A loan of $250 helped to clean 500 acres of mature cacao trees. Maura, age 50, is a certified organic farmer of Maya Mountain Cacao. She lives in the beautiful village of Santa Cruz. She, together with her husband, manages their one acre of mature cacao trees. Maura raised her 11 children, three of whom are still living with her and her husband. Maura and her husband became inspired to plant cacao on their own with the assistance of their dad. They grew up in a farming family which assisted them in ways and methods of farming as both a source of income for the family and for household use. Maura stated that her husband spends most of the time planting different types of farm crops such as corn, beans, rice, and other ground foods. She enjoys harvesting and selling products to the market. Maura stated that cacao is a source of income for the family and it is also a permanent crop, which requires cleaning and general maintenance to be highly productive. Maura is requesting this loan to hire workers to assist her husband in cleaning their cacao farm. Her husband is presently busy with the harvesting of corn and beans as it is the peak season. Maya Mountain Cacao (MMC) is a for-profit social enterprise that sources premium cacao beans from smallholder farmers in Belize. Founded in 2010, it generates income for marginalized farmers while promoting sustainable agricultural practices in the southern part of the country. These cacao farmers use Kiva credit to invest in farm maintenance, improvement and expansion. For example, they might hire workers to help with the harvest or buy inputs such as better tools and seedlings. 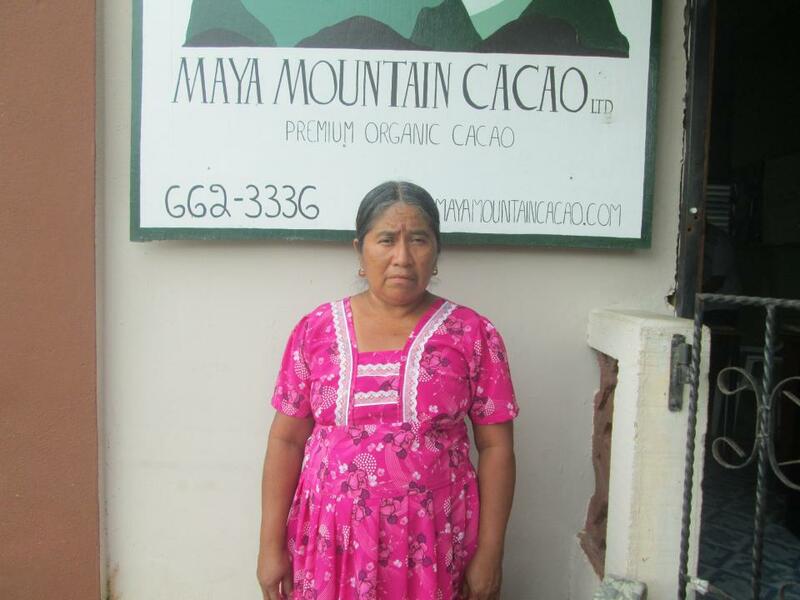 Like Kiva, Maya Mountain Cacao is committed to supporting marginalized populations and improving their livelihoods. The enterprise encourages organic, sustainable agriculture and helps prevent deforestation. Maya Mountain Cacao’s long-term goal is to help marginalized Maya farmers increase their incomes while protecting their culture and traditions. Kiva financing will enable Mopan and K’ekchi Maya farmers in the Toledo District access microloans to expand their cacao production.